Does Body Building Cause Hair Loss? Can weight-lifting increase the rate of baldness? A more likely cause of hair loss with weight loss is "telogen effluvium." The stress to one's system from sudden or excessive weight loss can throw hair follicles into their resting phase. This is when many hairs are shed. Other stressors like high fevers, childbirth, and even surgery, can lead to telogen effluvium. Body building usually causes an increase in testosterone levels. 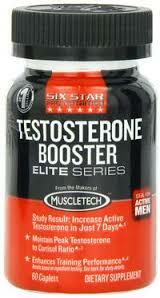 Most body builders know that increasing testosterone levels helps improve power, strength and endurance. Increasing testosterone has a positive effect on the performance in the gym, but it can have a negative effect on hair growth. Testosterone is a male hormone but it is also present (in lesser amounts) in women. Generally speaking the more testosterone in the body, the more extreme the male characteristics will be. Hair loss occurs far more frequently in men than it does in women.. That is because men tend to have much higher levels of testosterone. DHT is a by-product of testosterone. In general, as we age, more DHT is produced from testosterone. DHT causes hair fall and thinning.. Some people are more susceptible to DHT than others. Some people produce more testosterone than others, and some people will experience more of an increase in testosterone as a result of starting a weight lifting/body building routine. Weight lifting or body building may cause an increased rate in hair loss, IF you are susceptible to the negative effects of DHT and your weight lifting/body building routine results in an increase in testosterone levels. So, only in some cases will people experience thinning hair as a result of body building. It depends on the individual and their genetics. Should you worry about the effects of body building? You don’t need to worry about the effects of body building on your hair, unless you are taking supplements that are designed to increase your testosterone levels. Some testosterone boosting supplements (below) can have a very negative effect on your hair, therefore these types of products should really be avoided if you treasure your locks. Also, if you’re taking steroids and you are one of the millions of people whose scalp is sensitive to DHT you will probably notice an increase in hair loss. Just don't take them!